The Samsung Galaxy Fold went up for pre-order on Sunday and sold out immediately. Shortly after, Samsung handed a number of review units to press (not us), who have had them for a couple of days now for testing. At least three of those units have already broken. 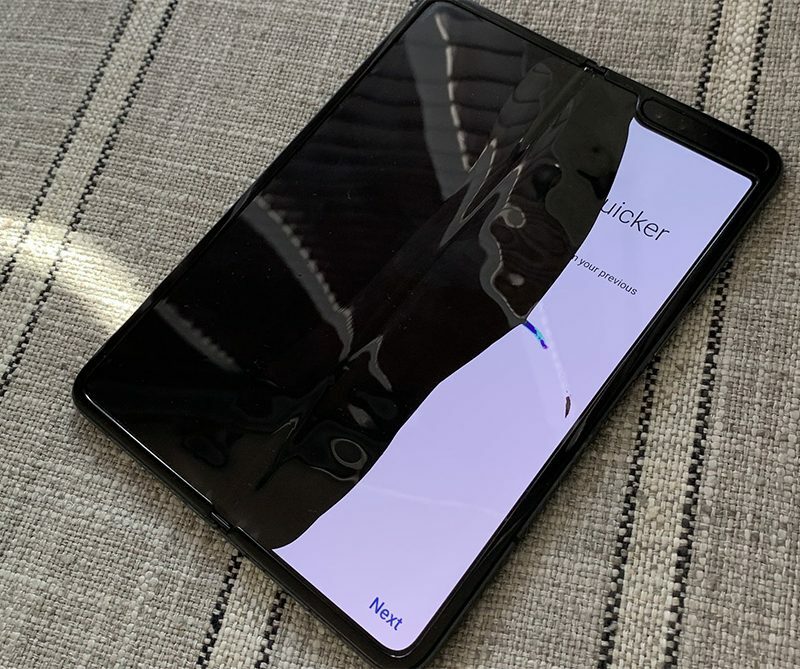 Within a few minutes of each other this morning, three tech reporters took to Twitter to share the stories of their broken Galaxy Fold units. The Verge put together a write-up that described and showed off a weird bulge that eventually broke the foldable display on the inside of the Fold. CNBC and Bloomberg tech folk followed up with devices showing the inside display half-dead, flickering, or getting progressively worse since issues first started last night. As for Mark Gurman of Bloomberg, his screen is possibly the worst of them all, but could have died because he removed a protective “polymer” layer on the outside of the foldable display that I’m guessing he thought was a screen protector. Samsung has apparently told people they weren’t supposed to remove it, just not in time, obviously. It looks like Marques Brownlee did the same thing, so we’ll have to watch and see if his unit survives. 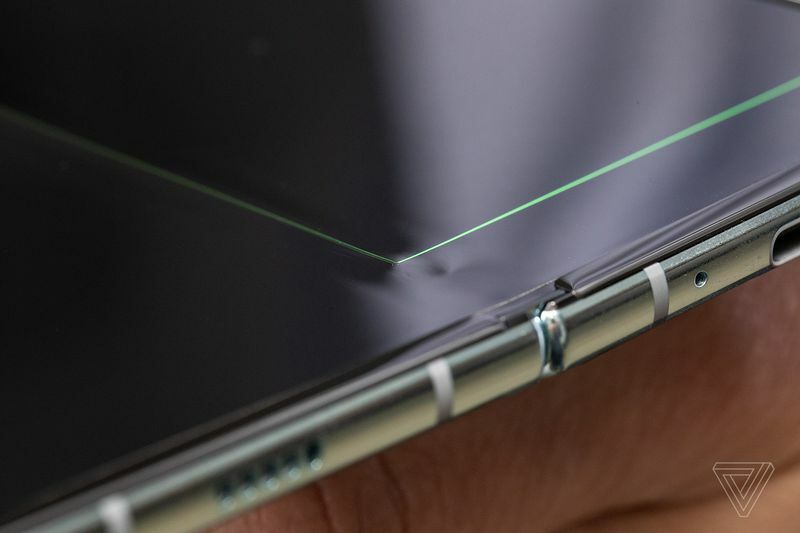 So the $2,000 Galaxy Fold has been in the hands of press for a day or two and is breaking. That’s not good. UPDATE: Samsung issued a statement to The Verge that recaps what we shared and says that they’ll investigate the couple of devices that may have run into hardware issues. On the flip side, for those who ripped off the protective layer, well, Samsung will make sure customers know they shouldn’t do that.